In late September, prisoners in the Santa Clara County jails who are part of what they then called the Prisoners’ Human Rights Movement sent a letter to Sheriff Laurie Smith with a list of demands and a notice that in October the inmates would initiate a hunger strike to continue their “peaceful protest to end this torturous practice of solitary confinement and inhumane treatment until there is tangible and meaningful change for all prisoners – most whom are un-convicted pretrial detainees,” they stated. The letter begins by recalling the Ashker settlement, the 2015 resolution of a lawsuit against solitary confinement in the state prison system that was initially filed by prisoners and fueled by a series of hunger strikes, the largest in history. Though it didn’t end solitary confinement, it severely limited it and released thousands of prisoners who had suffered the torture of solitary confinement for a decade or more into the relative freedom of general population. End recidivism and misappropriation of prisoners’ welfare funds. In calling the strike, which was inspired by the nationwide prison strikes that began Sept 9, 2016, they wrote to their comrades: “Said hunger strike will begin at 12 midnight on Oct. 17, 2016, and will go on for two weeks, or 14 days. It will end on Oct. 30, 2016, at 12 midnight. This strike is not mandatory, but instead it is highly encouraged to all who are concerned, willing and able. “We especially reach out to those who are healthy and inﬂuential. We lean upon you and ask that you utilize your inﬂuence to help further push and inspire this movement through your words and actions by leading through example. Santa Clara County Main Jail is the main lockup in Silicon Valley, which is booming economically. So why would a large jail be needed where jobs are plentiful? Silicon Valley is notoriously reluctant to hire people of color regardless of their skills, so, as in nearly all the rest of the country, the wealth gap between rich and poor is huge. Three hundred prisoners, including many held in solitary confinement, joined the strike. And after only four days, jail officials held a meeting with about a hundred prisoners that resulted in suspension of the strike, which continues. Three hundred prisoners, including many held in solitary confinement, joined the strike. The hunger strike victory – settlement of the class action suit against solitary confinement – is fantastic, but now, more hard work confronts them all. They will continue to be in a relentless fight to prevent COs (correctional officers) from destroying the unity and continued political determination of the vision for prison reform in California. Obviously, there will come a time in which the prisoners will need to essentially rebrand, identify and complete what they started – the five demands – and to ensure the sustainability of organizing as well as build capacity to grow the work into a substantial statewide political campaign for prison reform. I sincerely hope they will consider this victory as a tactical victory, not a strategic one – especially when parole decisions continue to be constricted and there is an ongoing need for more programs that serve to support prisoners for their return to the community. In fact, I hope they will begin the process of floating a proposal to broaden the overall campaign for prison and parole reform and ultimately end mass incarceration – demand abolition. If they can successfully make this transition, they will certainly create the paradigm for the country to replicate. One of the first things that must be done as part of the transition and to move the prison-cultural-psychological determinant forward would be to educate the prison and public about how the state will seek to undermine their success. For example, publications should have issues solely devoted to incidents in which state officials (COs) attempt to undermine the Agreement to End Hostilities. I hope they will begin the process of floating a proposal to broaden the overall campaign for prison and parole reform and ultimately end mass incarceration – demand abolition. If they can successfully make this transition, they will certainly create the paradigm for the country to replicate. It is these testimonies and examples of fight-back that can serve to strengthen the capacity to build unity and uniformity in the fight. Secondly, this would broaden the future vision of the campaign from the inside out and then the outside in. I imagine family members and loved ones will want to concentrate on parole issues and prison medical and health concerns as the next major issues to be tackled. 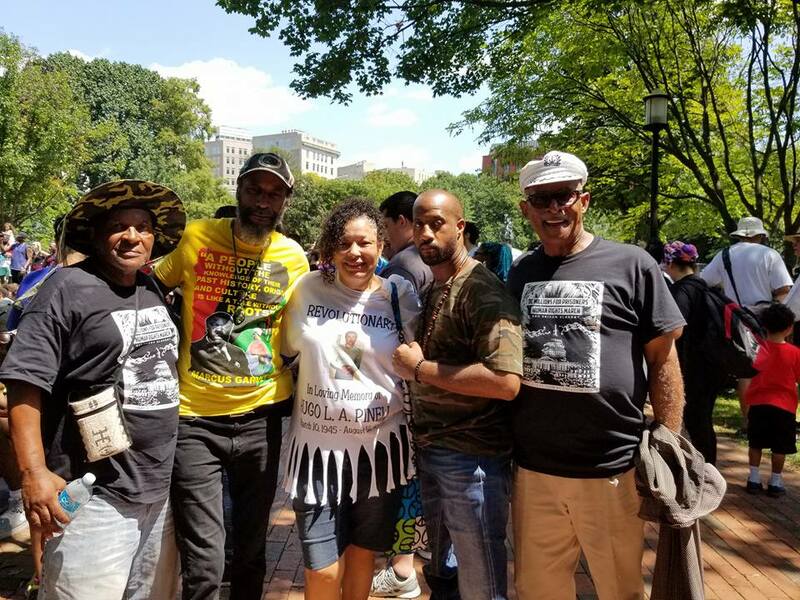 Jalil has been imprisoned since 1971 when, at the age of 19, he was active in the Black Panther Party and the Black Liberation Army. He spent from 1975-77 in San Quentin before being sent to New York state prisons. Send our brother some love and light: Anthony Bottom, 77A4283, Attica Correctional Facility, P.O. Box 149, Attica, NY 14011-0149.
fill in the details for your action! If you don’t see your locale listed here, we haven’t received the details yet or YOU just might need to organize a simple action where you are!! Email phssreachingout@gmail.com or click HERE to share your locale’s details and/or request printed materials be sent for your action. 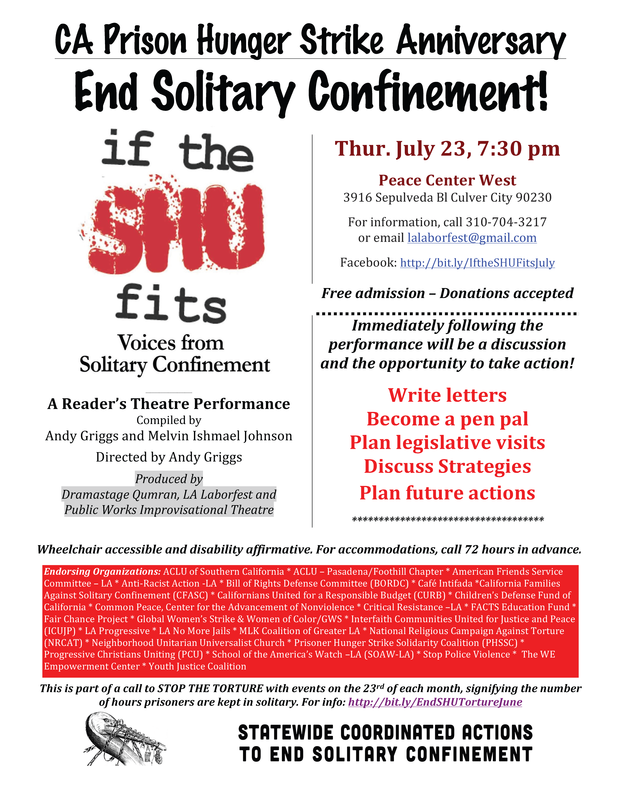 Statewide Coordinated Actions To End Solitary Confinement (SCATESC) has a PHSS Facebook Event page. SCATESC’s long list of Co-sponsors and Endorsers is below. We will be gathering at the Manila Community Center in solidarity with the other statewide coordinated actions that are happening on the 23rd of every month. Solitary confinement is rampantly used in California. 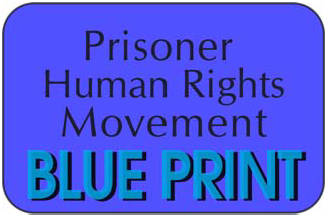 We are a part of a prisoner-led movement including: family and loved ones of incarcerated people, students, lawyers, youth, teachers, doctors, activists, international and national organizations. There are people of all ages and genders that are locked in solitary confinement, some for DECADES. With Pelican Bay, a notorious torture chamber, so close… come on May 23rd and help STOP THE TORTURE. You can help us pass out literature, get more involved in the struggle, show your solidarity, or just learn. We will have an educational demonstration while people are waiting for the Kinetic sculptures in Manila. In juvenile facilities across California, children are held in solitary confinement for days, weeks, and months at a time. This unnecessarily harsh disciplinary practice harms young pe ople and exposes them to a lifetime of psychological and developmental trauma. 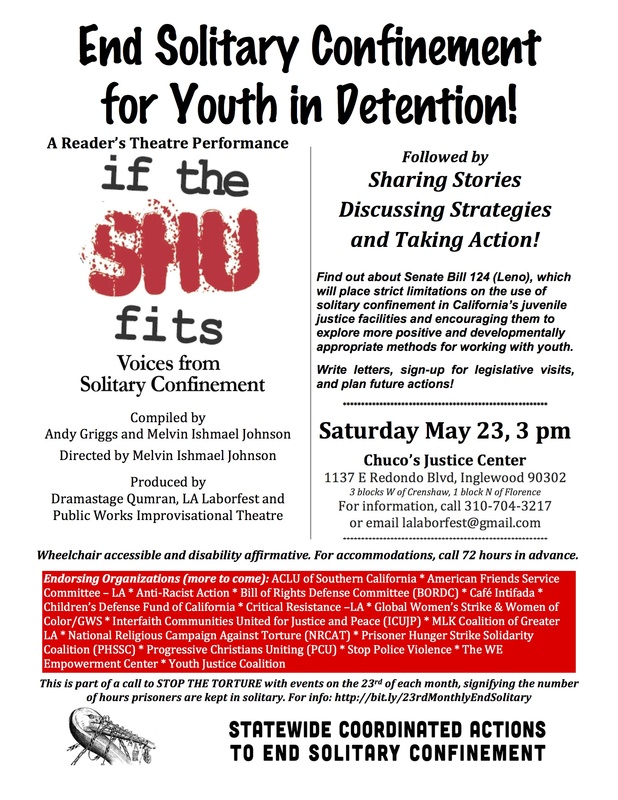 At this event, we will present “If the SHU Fits-Voices from Solitary Confinement”, and follow with a session to: * Share Stories * Discuss Strategies to make meaningful change * Take Action! Find out about SB 124 (Leno), which takes California in the right direction by placing limitations on the use of solitary confinement in juvenile justice facilities and encouraging them to explore more positive and developmentally appropriate methods for working with youth. 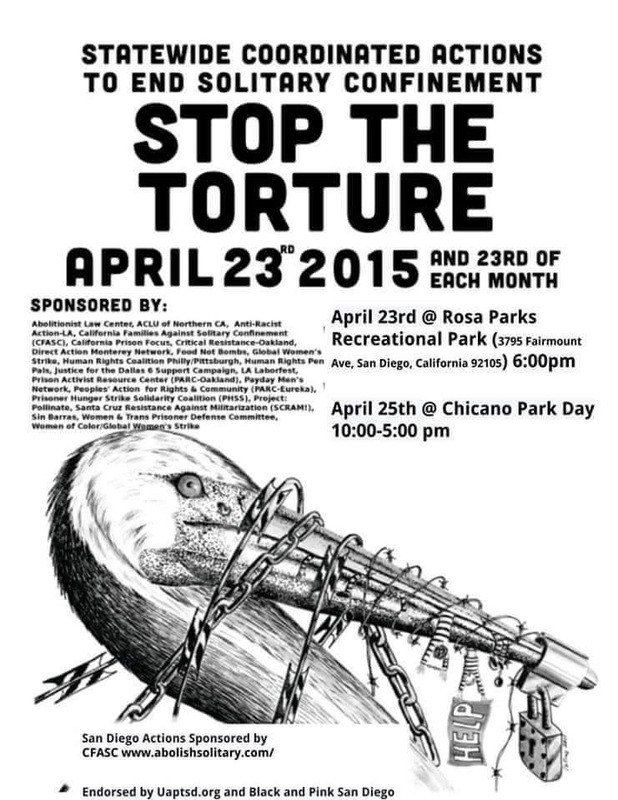 Informational Demonstration: PLEASE come talk and help share information to STOP THE TORTURE that is solitary confinement. 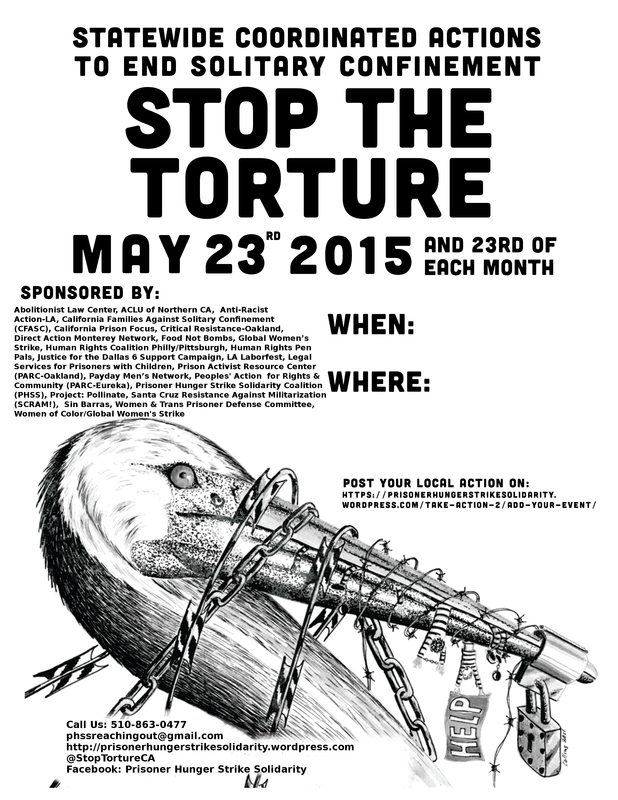 Pennsylvania (PA) groups support the Monthly CA Statewide Coordinated Action to End Solitary Confinement. and add your group to those committed to taking an action each month. PA groups so far include Abolitionist Law Center; Global Women’s Strike; Human Rights Coalition Philly/Pittsburgh; Justice for the Dallas 6 Support Campaign; Payday men’s network; Women and Trans Prisoner Defense Committee; Fight for Lifers West, Inc.
We will be tabling with information about solitary confinement and the prisoner-led human rights struggle to end solitary confinement – torture- and to promote the Agreement to End Hostilities. STOP THE TORTURE! 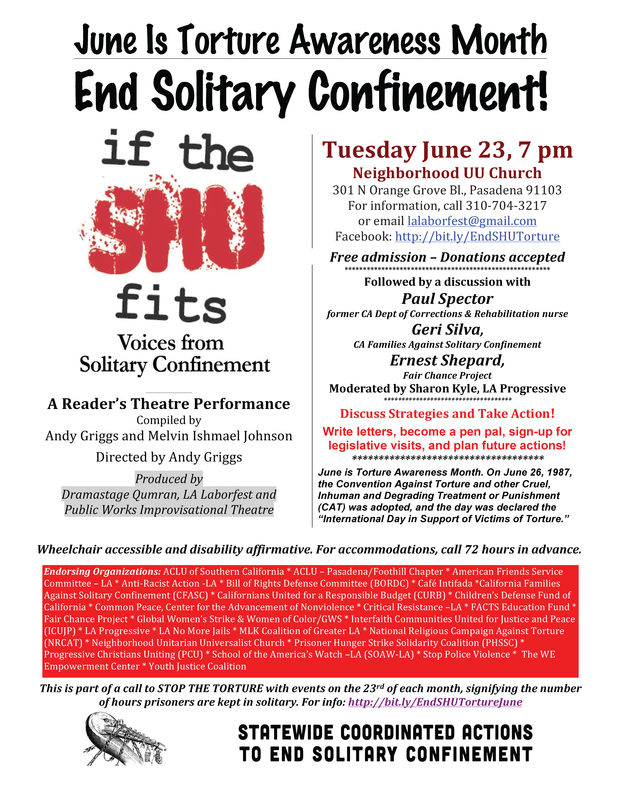 As part of the Statewide Coordinated Actions To End Solitary Confinement, we will have a May 23rd informational demonstration including photos of men in SHU, along with some who used to be in SHU but are now in General Population. 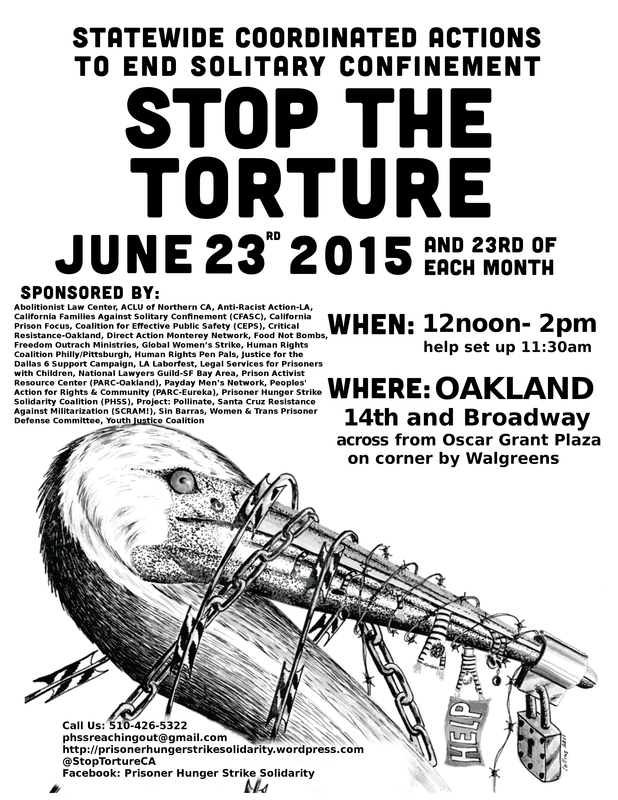 We will be talking and sharing information to STOP THE TORTURE of solitary confinement. This date, May 23, emphasizes the 23 or more hours every day that people are kept in solitary confinement in 7 x 11 foot concrete cells. Organized, community-based pressure is a core strategy to end solitary confinement. Please participate or visit this informational demonstration. There will be many people lined up to visit Alcatraz. Come help pass out information. 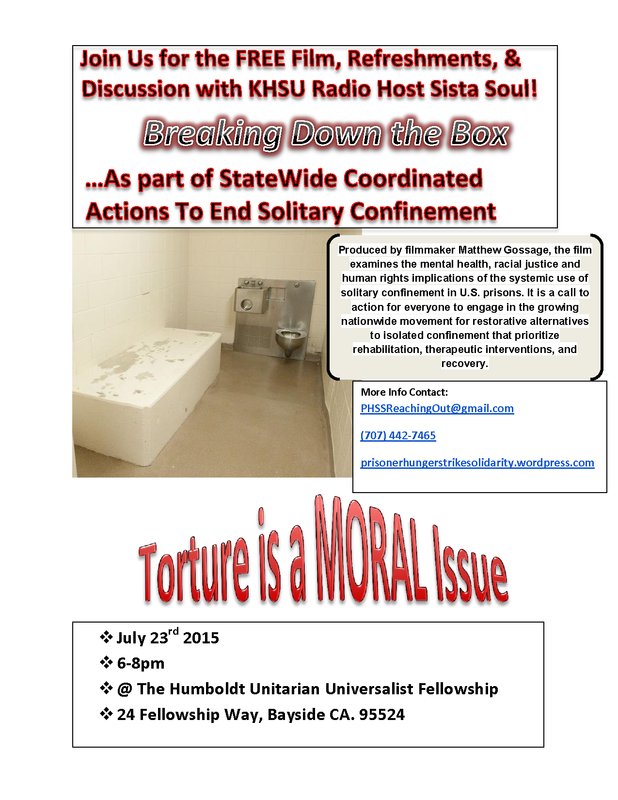 Statewide Coordinated Actions To End Solitary Confinement (SCATESC) has a PHSS Facebook Event page. SCATESC’s long list of Co-sponsors and Endorsers is below. 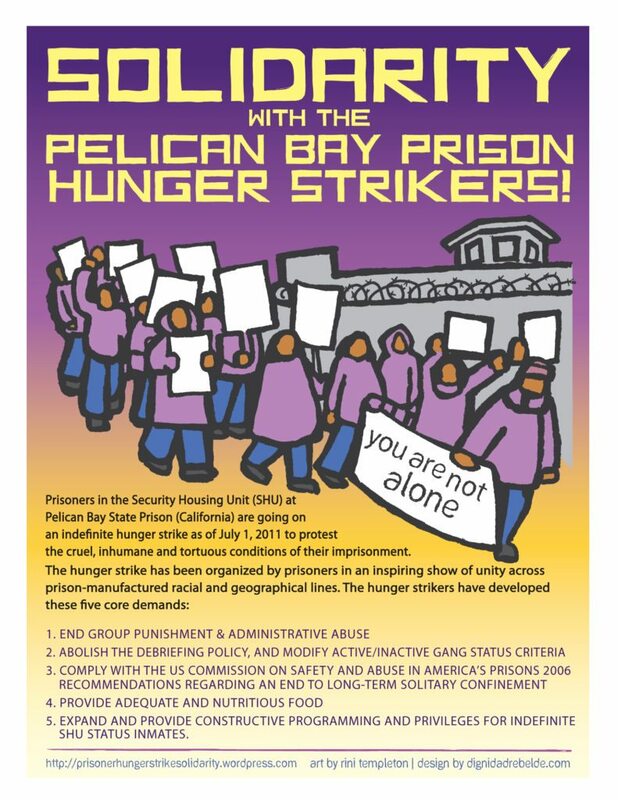 So close to Pelican Bay State Prison- a solitary confinement torture facility- we participate in these Statewide Coordinated Actions. We will have an informational demo to educate about the human rights atrocity of solitary confinement and strengthen the prisoner-led movement to stop the torture. Actions will continue on the 23rd of each month, locations TBA, corresponding to the 23 or more hours a day people are kept in solitary confinement. Actions on the 23rd of every month in response to a call from the prisoners who went on hunger strike against isolation-torture for regularly scheduled building actions and organizing against long-term indefinite solitary confinement in the SHUs. Location: Reagan State Bldg, 3rd & Spring Sts., L.A.
Informational Demonstration: PLEASE come help share information and hold a huge banner. There will be thousands of passers-by that day at Laney College! Every week The Bay Area Solidarity Committee for Jalil Muntaqim hosts a Political Education Class “New Afrikan Prisoner Writings Study Sessions” from 5:30-7:30PM. We will dedicate the April 23rd session in solidarity with the prisoner hunger strikers. We will be reading and discussing “the five core demands” as well as the “Agreement to End Hostilities“. We will also be dissecting different writings by Abdul Olugbala Shakur, Chairman & founder of George Jackson University. The event, hosted by The Bay Area Solidarity Committee For Jalil Muntaqim and George Jackson University, will end in an open mic and political hip hop Show.